After having printed the connector part of the double cap, the new goal was to print the whole double cap in a single piece. It presents a major technical problem : how to reproduce the screw pitch precisely enough so that it can match the screw pitch of the vial? Thus we had to determine the dimension of the screw pitch. It has been performed by reverse engineering. We have cut a cap in four, being careful not to crush the shape of the screw pitch. Then we measured the different dimensions with a caliper. The next step was modeling the cap, with Blender. 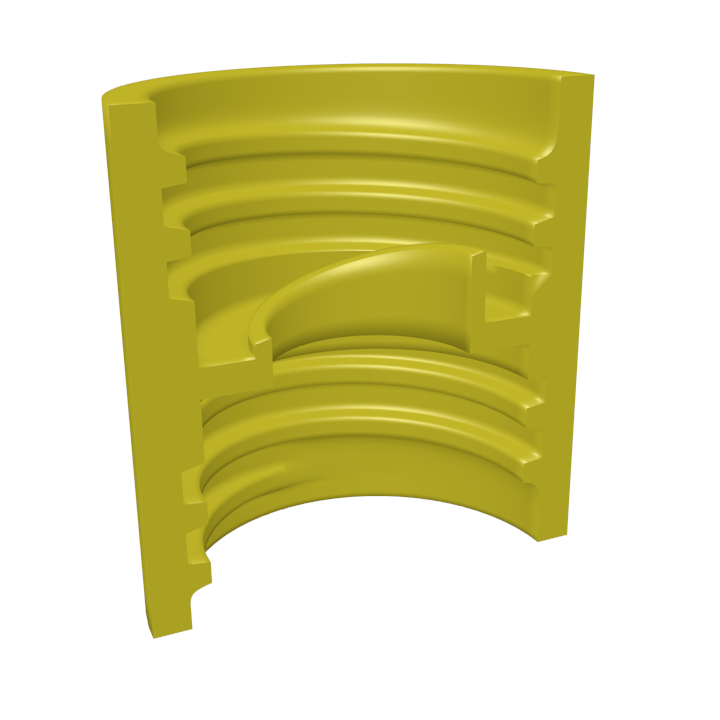 We started designing the screw profile and we extruded it in a spiral way. Then we modeled the rest of the cap around the screw pitch. We got one cap we can duplicate by mirror. The last thing to add was the connector between the two caps, respecting the same dimensions previously defined. The major fear of printing this piece was the basis of the connector part. It is printed vertically and the 3D printer must create it without support. Finally, it was not a problem. 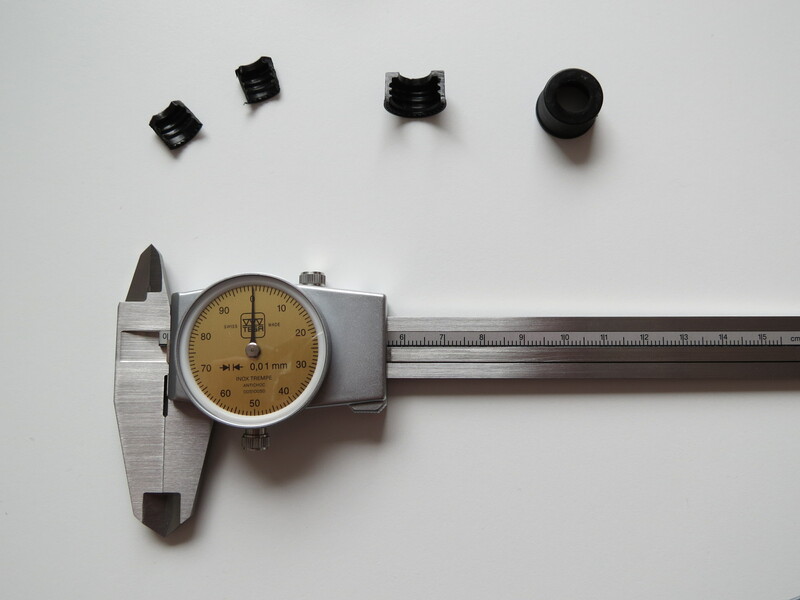 The major problem came from the temperature of the piece. Because of the direction of the printing, the first layers are in contact of the bed at a temperature of 70°C, but the upper layers are in contact to air and the ABS tend to retract. So the diameter of the whole piece reduces with the height. 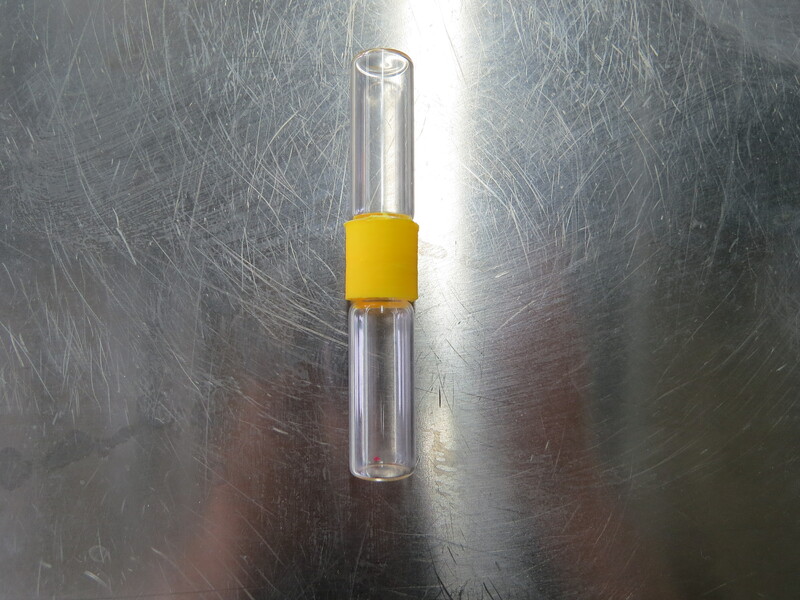 Thus it is more difficult to screw the vial on the side with the connector, which becomes more complicated when the vial is protected by a seal. So the solution was to increase the scale of the printed piece by a few millimeters. So we can test it in real conditions. As expected, the seal is pierced by the connector after starting to screw and the two vials communicate by the connector. The double cap assures to return the device in a single piece to the lab to destroy the GMO present inside. This double cap has a license CC BY. Improve the double cap, by printing it more precisely and adding to it rubber gasket to make it more hermetic.